There’s seems to be plenty of talk right now around hyper-convergence from the key infrastructure players and, for many, the need to demonstrate greater efficiency, resilience and control over a scaling IT infrastructure is proving highly evocative. Hyper converged infrastructure combines the power of networking/ virtualisation, computing and storage under a single software defined layer to provide greater hardware efficiency and scale. Traditional IT infrastructures require separate hardware for the 3 functions, making scalability (and costs) exorbitant and difficult to undertake as many organisations start to see the predictions of Big Data consumption realized. At enterprise level stands Nutanix who have engineered a partnership with IBM to offer a market leading solution designed to appeal to those with escalation costs from both their on premise and cloud environments. Other players in this space include DELL with their (H)CI solution powered by Intel Xeon. Also Hitachi and Microsoft offer solutions via a variety of software defined partners. There a few hyper-converged case studies in the enterprise category leaving many of us to think that time to ROI could be a long one, resulting in many business cases collapsing because the shear size and scale of implementation. Nutanix’s recently price drop many well reflect this need to provided ROI quicker in this high end marketplace. Also in the enterprise space stands VMware’s VSAN, HPE and Cisco. All offer worthy solutions with their software defined architecture, however some could be more costly because of their licensing models… be wary. Lower down in marketplace size see a number of entrants including Scale Computing’s HC3 offering. Scale’s offering seems to tick many of the right boxes from a commercial and technical perspective, including time to ROI and performance. A major UK supermarket has recently announced its deployment demonstrating its ability to compete in the highly demanding world of multi site retailers. Scale Computing’s HC3 offers a potential solution to clients escalating VMware licensing costs too, something many with data center based back up and recover can associate with. Forrester’s recent report on the state of the Hyper-Converged market highlights the key driver for demand as a lowering of product costs. The report also highlights the key vendors in line with overall market share. This is a worthwhile read for anyone considering an implementation or just researching vendor options. 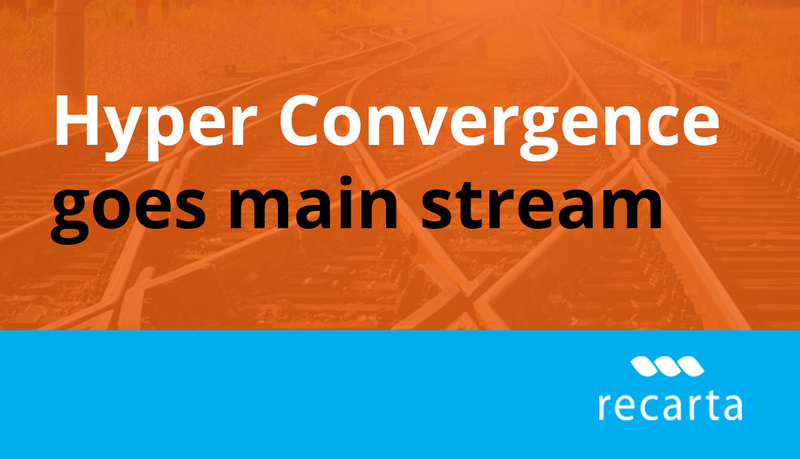 For many smaller organisations implementing a hyper-converged solution remains an unnecessary and not commercially viable in the short term. However, for anyone under pressure to scale their infrastructure without dramatically increasing costs (aka the impossible) a hyper converged architecture could be the answer for a long term career. Hyper-converged infrastructure offers tempting cost saving benefits to those seeking to adopt a scalable architecture that can be manged without the need to outsource provisioning and retain control. If you would like to understand your options speak to one of our trained IT infrastructure consultants today.